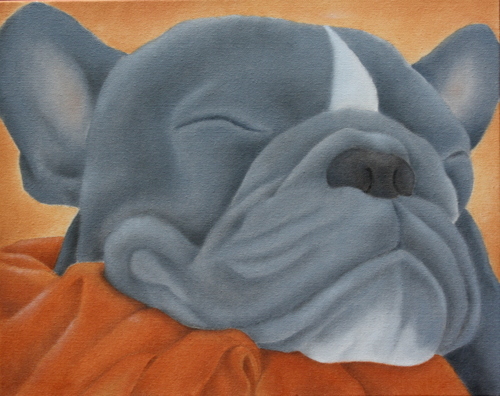 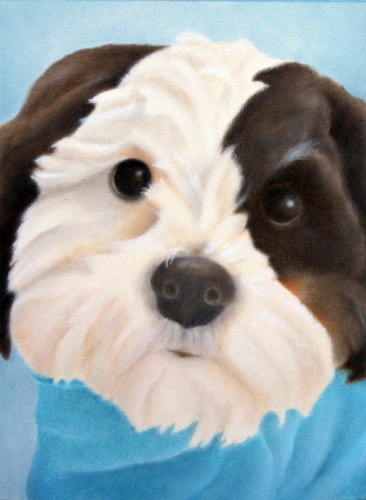 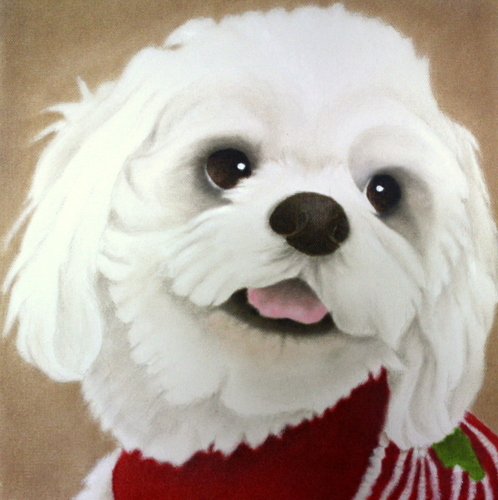 Oil painting of Faux Frenchie dog on gallery wrap canvas. 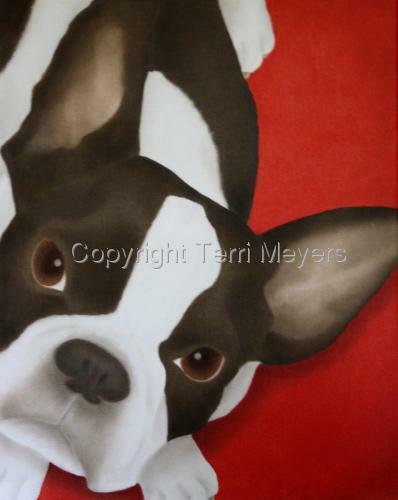 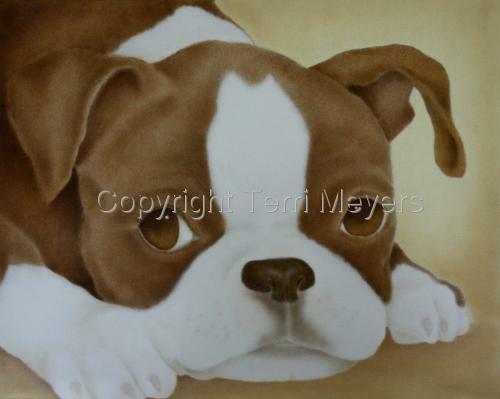 Oil painting of red boston terrier puppy on gallery wrap canvas. 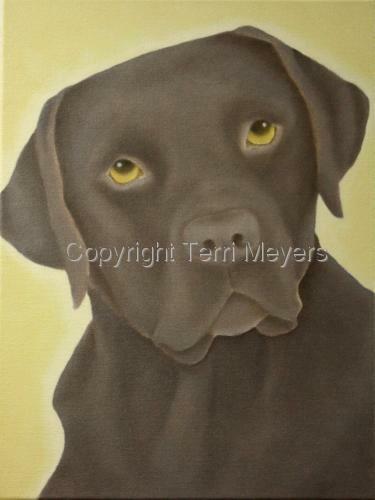 Oil painting on canvas of Chocolate Labrador Retriever. 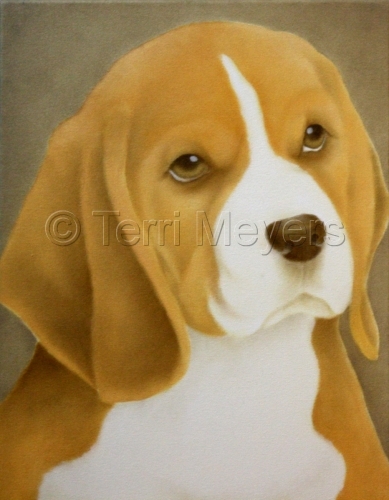 Oil painting on gallery wrap canvas of tan Beagle dog on neutral background. 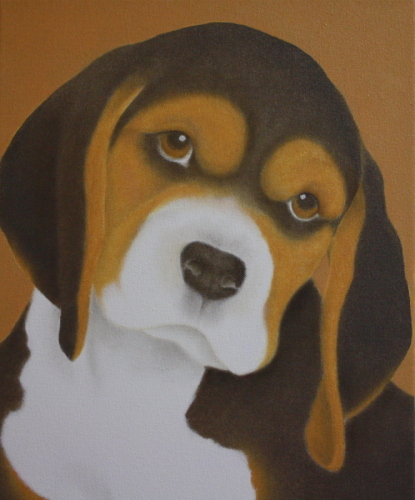 Oil painting on canvas of black and tan Beagle dog on tan background. 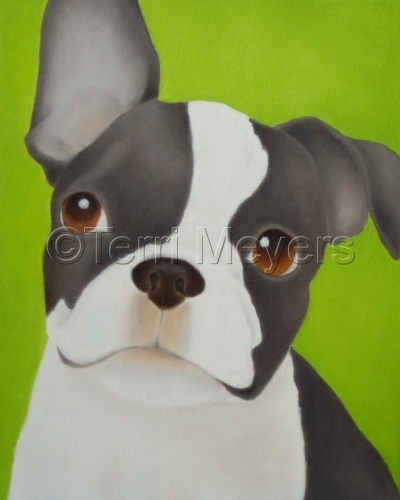 Oil painting on gallery wrap canvas of head of Boston Terrier dog on vivid green back. 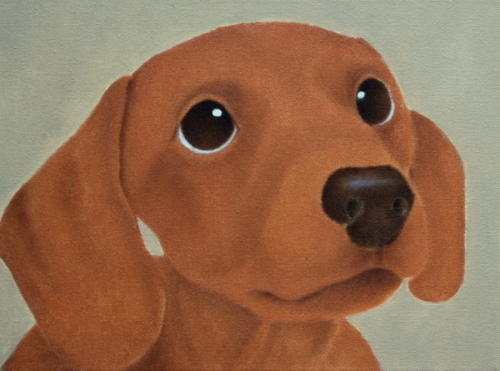 Oil painting on canvas of red Dachshund dog. 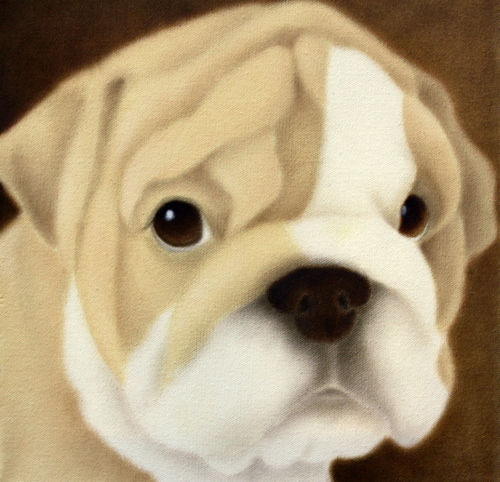 5" x 6.75"7" x 9.5"9" x 12"11" x 14.75"13" x 17.5"
Oil painting on canvas of tan baby Bulldog. 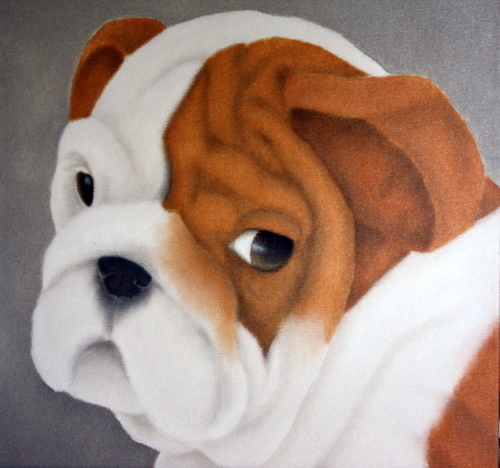 Oil painting on canvas of red and white baby bulldog.